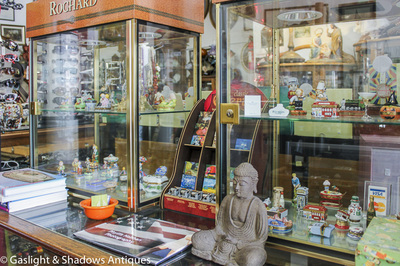 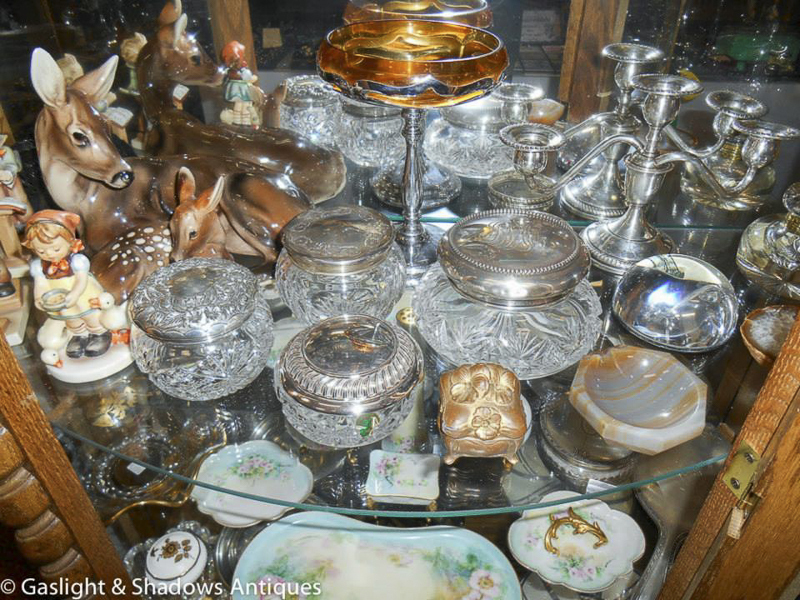 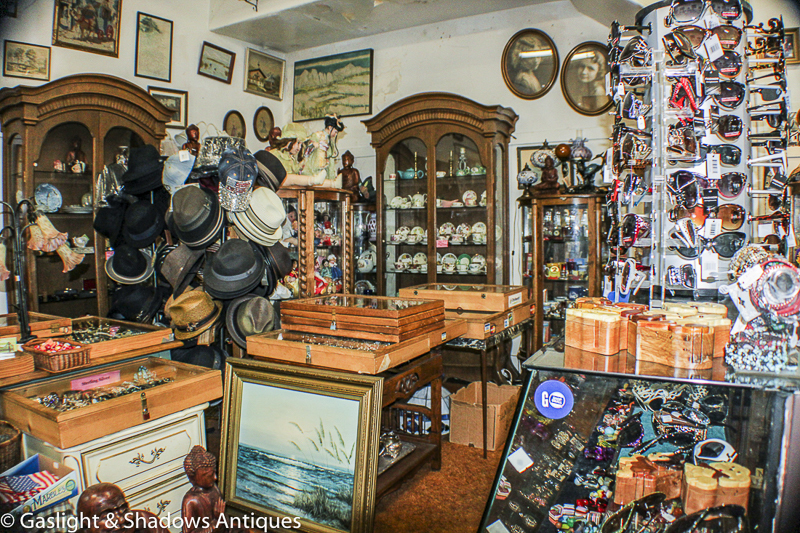 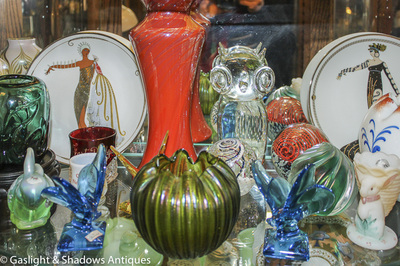 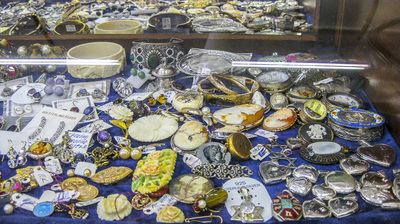 ﻿Gaslight & Shadows Antiques was founded by Phyllis Nabhan in 1976. 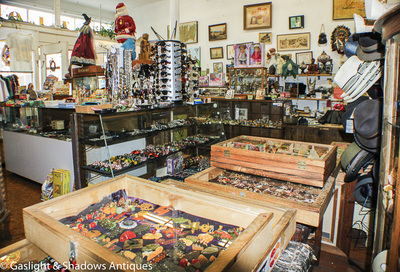 The goal was to create a store that was friendly, fun, and packed with unique interesting items of many types at affordable prices. The store has been a neighborhood favorite for many years and now thanks to the Internet, attracts people from all over the country and World. 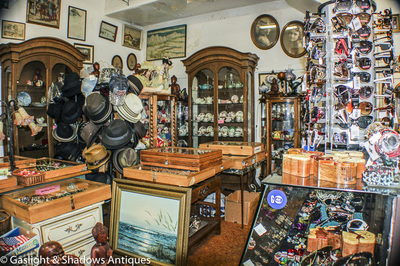 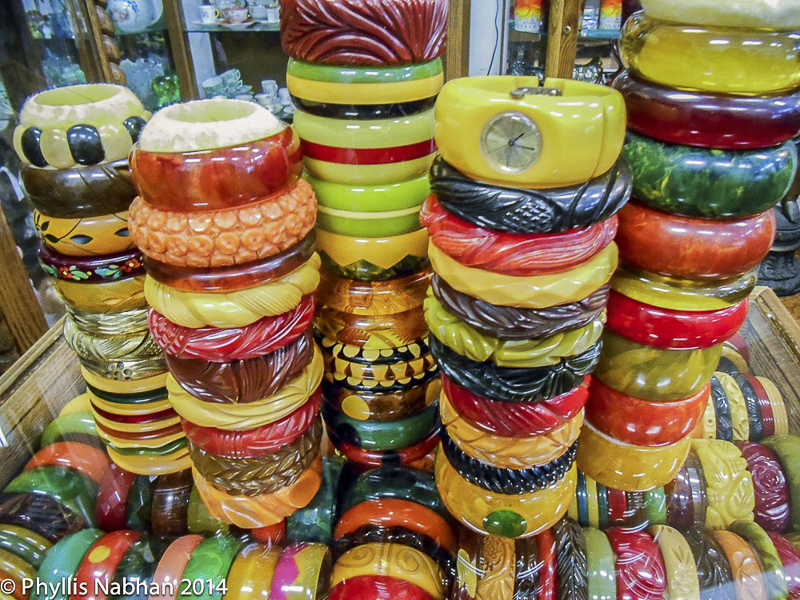 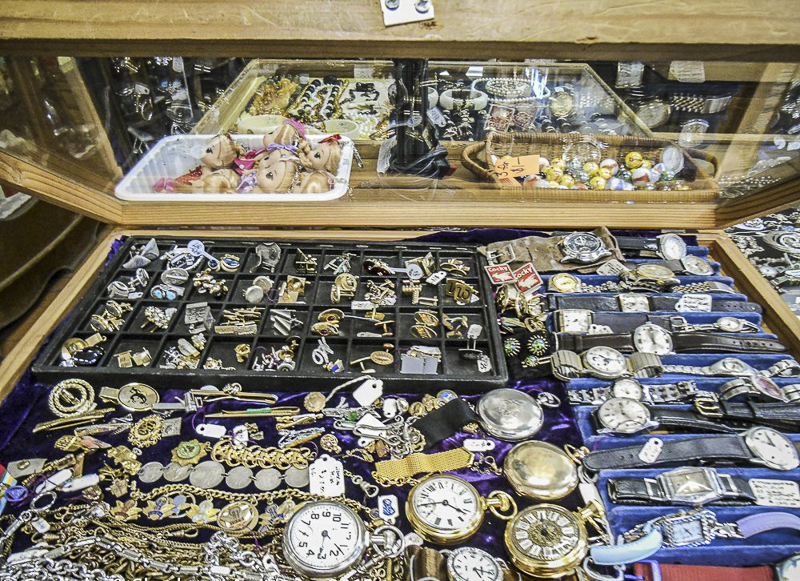 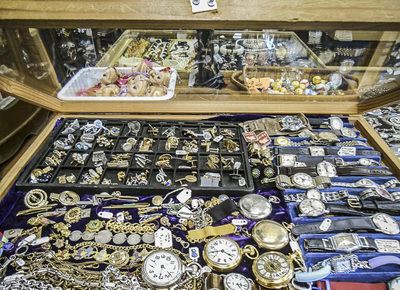 Specializing vintage Bakelite jewelry and items, and Limoges Boxes, the store has collections not found elsewhere. 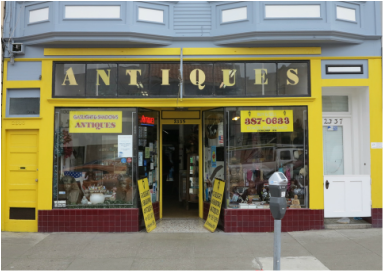 2335 Clement St. @ 25th Ave.
​Limoges boxes are hand made, hand painted, beautiful small porcelain boxes made in the town of Limoges, France. 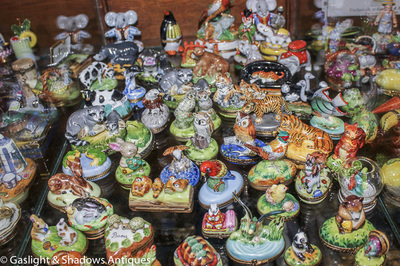 The production of Limoges porcelain dates back to the 1770's. The Limoges boxes of today are made of hard-paste porcelain which is found in the city of Limoges, France. 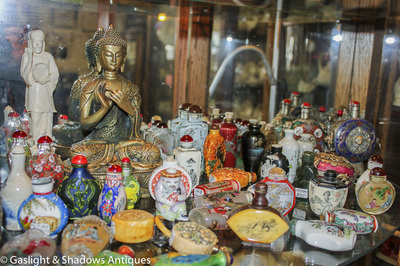 Prior to 1768, the snuff boxes were made of soft-paste porcelain from Paris, a creamy yellowish color. 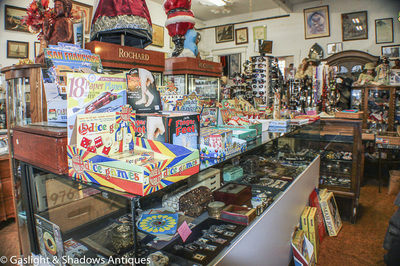 Originally the boxes were used for snuff, small jewelry, fake beauty marks, sewing needles, medicine, cosmetic powder, candy, and other small objects. 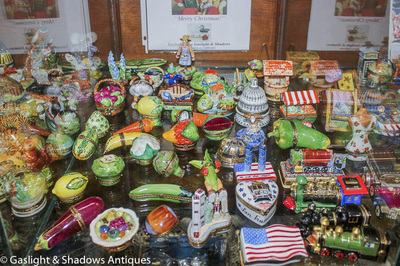 Today these whimsical boxes are decorative, mostly used for display purposes. 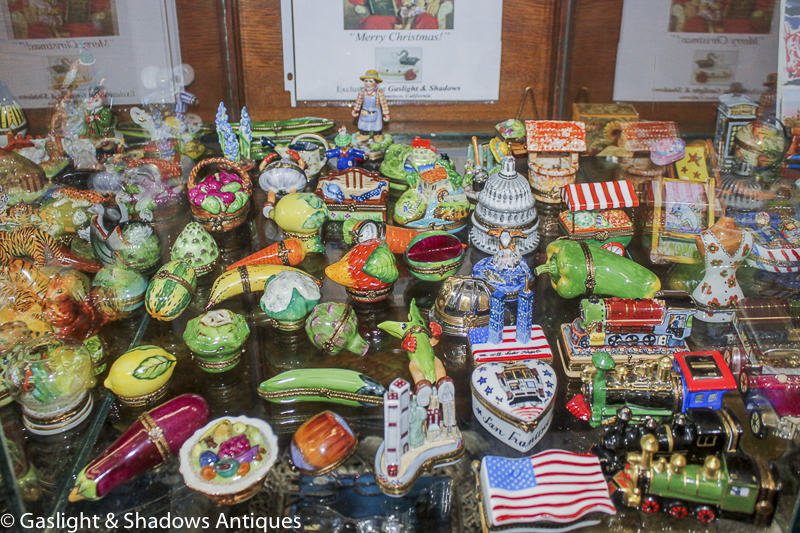 The Limoges boxes that Gaslight & Shadows Antiques carry are from only the finest studios and importers like Artoria Limoges, Rochard, Limoges Imports, Limoges Diffusion, Chamart, Parry Vieille, Elda Créations, Gérard Ribierre, S&D, Chanille, Dubarry, La Reine, Royal, La Trefle, Rose Decor, Decor Ceram, Diez, DZ, D Moreau, and other fine studios.